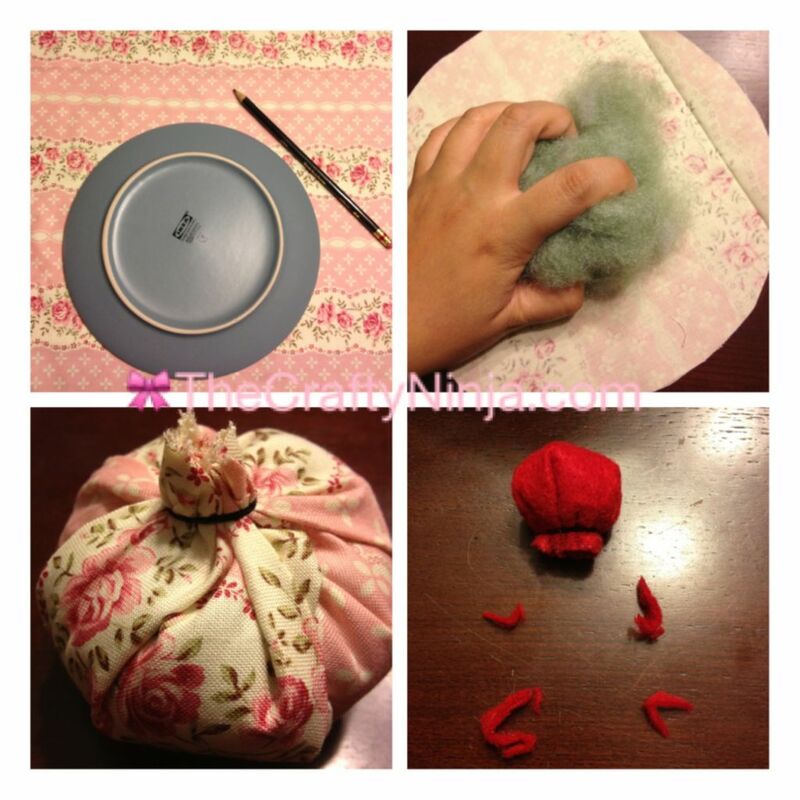 Here is a very simple tutorial on a no sew cupcake pincushion. 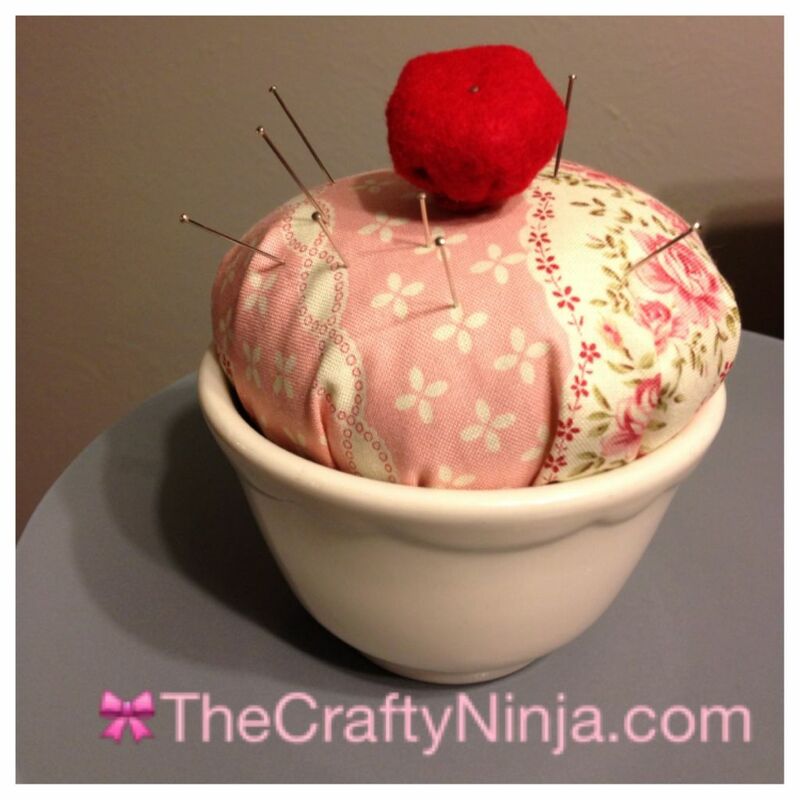 It’s a perfect storage for your pincushions while sewing or doing crafts. Supplies: Dinner plate, Pencil, Fabric, Felt- 3 inch circle template here, Rubber bands, Pillow stuffing, Scissors, Small cup as the base, Pins, Hot glue gun and glue sticks. Trace the dinner plate on the fabric with a pencil. Cut out the circle. Use the 3 inch circle template to trace on the felt and cut out. Stuff the fabric and felt and tie with a rubber band. Trim off some of the felt and hot glue the cherry to the top (I just pinned it down), and viola your done! Super cute and easy!